The Orange County Zoo is a small regional zoo focused on animals native to California, in particular to the coastal areas and low desert of southern California. It is located in Irvine Regional Park at the eastern edge of the city of Orange. Among the many animals to be found at the zoo are black bears, mountain lions, coyotes, foxes, and coati. Over the years the zoo has hosted many animals rescued from urban environments, including the famous “Freeway Foxes” that had taken up residence at a major interchange, and Samson, the “hot tub” bear that adapted to civilization just a little too much. The zoo continues that tradition, providing rehabilitation to animals injured in encounters with humanity, and education to people in finding ways to live with the creatures in the local environment. In addition to the large animals, the zoo has a very diverse collection of raptors and other birds. Bald and golden eagles are always a thrill to see, and the variety of owls, hawks and vultures on display will surprise those who can't always identify those birds high in the sky. 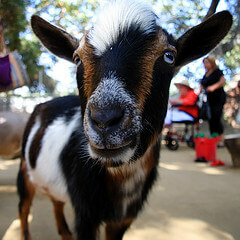 Another feature of the Orange County Zoo that's especially fun for young visitors is the petting zoo, which pays tribute to Orange County's agricultural roots with goats, pigs, sheep, chickens and other farm animals. 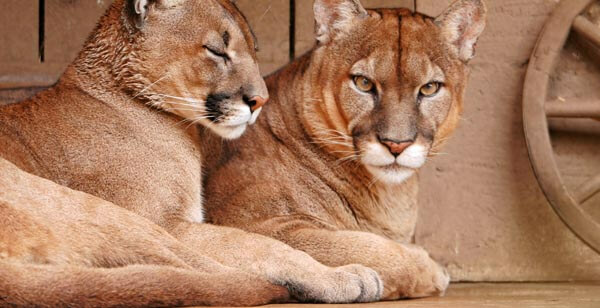 The Orange County Zoo sits entirely inside Irvine Regional Park, which offers hiking, picnic areas with tables and grills, paddle boats, a train ride, and hiking trails, so it's easy to make a full day of your visit to the zoo. Last updated by B. Short on 28 October, 2012 in Destinations.